Direct mail design is at the heart of our direct mail services; from leaflet and postcard design to catalogues. We provide expert advice on how to get the most impact from your direct mail campaigns, from the message to the format. We can also print and distribute your campaigns in-house. As a mailing house, we will ensure your design is as memorable as it can be. On top of that, we help you integrate variable data, images and provide personalised direct mail options too. Our direct mail design ideas will incorporate your prospects needs and buying habits to enhance your response rates further. Get in touch with us for a free direct mail consultation and find out how our design, print and distribution facilities can benefit your direct marketing campaigns. As a UK wide mailing house, we’ve picked up expert knowledge along the way of how to produce a successful direct mail marketing campaign. Today, direct mail design doesn’t have to follow traditional examples. Consumers appreciate and are attracted to unique advertising that they’ve never seen before. Quirky, standout advertising can significantly boost responses. A picture can paint a thousand words, and you can better convey your message via images than text. Impact boosting images should be a part of your direct mail marketing campaign ideas, and we’ll work to make sure your direct mailing does exactly what you had hoped and more. We recommend using colour to strengthen your brand message. Colours, particularly warm tones, have been known to boost response rates due to their welcoming connotations. There are several colour ideas for specific direct mailers, and you can read more about them here. There are so many more direct mail design opportunities, including suggesting offers to creating multiple entry points, encouraging curiosity to dimensional direct mail options – and we’ll help with them all. We have been ensuring direct mail fulfilment for more than 30 years, and have a wealth of experience in the industry. 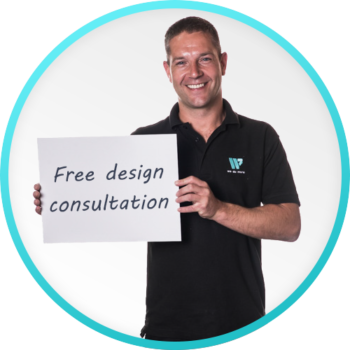 You can get in touch below to discuss our print and mail services or you can request a free design consultation.